Snowdrift Art Space regrets to inform our supporters that we will not be presenting Winslow’s Día de los Muertos (Day of the Dead) Celebration this year. Even though we will not be hosting a public event, Día de los Muertos altars in the Family Chapel are available for viewing though private tours of Snowdrift. E-mail us here to set up an appointment. Families celebrate Día de los Muertos throughout Latin America and the Southwestern United States to remember their departed ancestors and loved ones. They pray, sing, dance, and place ofrendas (offerings) at graves and altars for the departed, who are thought to briefly visit the earth at this time each year to make sure that all is well and they have not been forgotten. 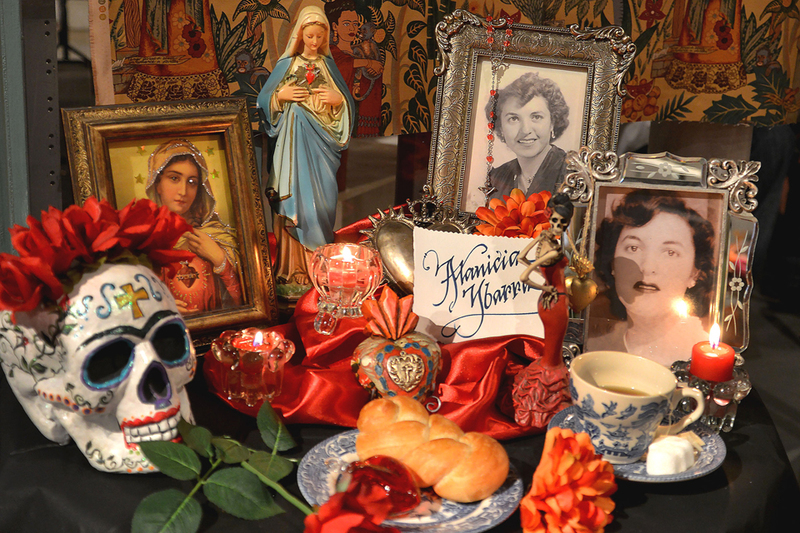 Ofrendas on altars often include flowers, candles, incense, sugar skulls, and statues of saints as well as pictures, personal items, and favorite dishes of the departed. Snowdrift Art Space was honored to host the Material Girls’ 2016 Quilt Guild Show on Friday and Saturday, September 23 and 24 *and* Friday and Saturday, September 30 and October 1, 2016. Hours were from 10 am to 6 pm each day, and admission was $2. 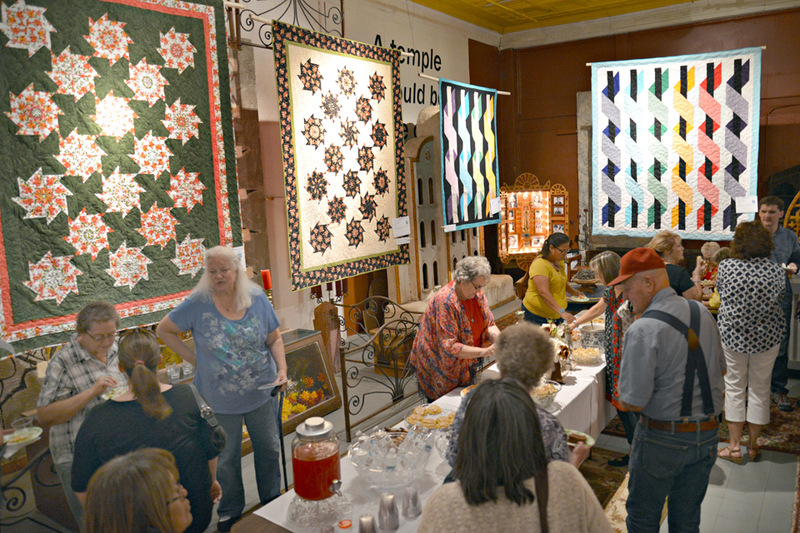 Dozens of quilts in multiple categories were on display, and visitors voted for their favorite. The drawing for a raffled quilt was held at 4 pm on Saturday, October 1, and tickets were on sale at the door for $1 per ticket, $5 for 6 tickets, or $10 for 12 tickets. Charlie from Odegaard’s Sewing Center in Flagstaff sold quilting supplies the first weekend, and Sharon from Painted Desert Quilts in Holbrook did the same on the second weekend. For more information about future quilt shows, call Elaine at 928-289-5032.